Increasing the safety and security of your event. 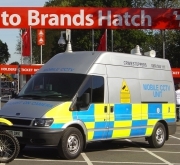 "Making events safer with Mobile CCTV"
It is essential to have the right person monitoring the CCTV cameras, that person needs to have some knowledge of the site, for example entrances, exits, where queues are to form, know a bit about the audience profile and the type of event. The list could go on and on, but the CCTV operator must know where they should be looking for the CCTV to be effective. This is why at Mobile CCTV Ltd our CCTV operators always help during the installations. They get to work on the site and have a good knowledge of it by the time the CCTV is operational. This has always worked well for us, the knowledge of the site and knowing the capabilities of the cameras is a great combination to get the best from the CCTV system. Large Screen TV Hire - We hire out large TV Screens and distribute TV and video to wherever it is needed. Radio Communication Systems � We supply temporary radio systems and our motivation is always to ensure that the sites are covered adequately. We would prefer to recce the site and provide you with a solution to ensure you have good coverage around the site. 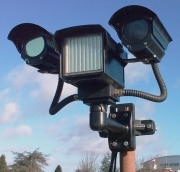 If we are working with temporary CCTV on a site would always provide repeaters to increase coverage as part of the CCTV system installation free of charge. The introduction of our new fleet of Digital Wireless CCTV cameras means we have stepped up another gear of surveillance flexibility and versatility. We already have a reputation for being team players and hard working and more importantly flexible to operational changes at short notice suggesting to change camera locations to suit the changing operational requirement. This year we have been using our digital wireless body worn kits which have proved to be a great success on site. Getting CCTV footage into the control room from areas not covered by conventional cameras is a great tool and provides a huge amount of intelligence.